Double (12’6″ x 11′) on ground floor with en-suite bathroom with bath and rainhead shower plus separate en-suite wc, and a private balcony. 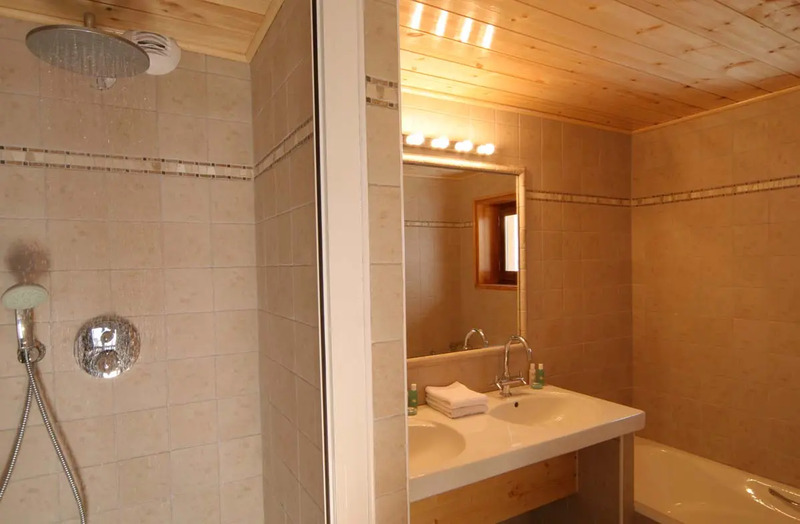 Twin (12′ x 10′) on the ground floor, en-suite bathroom with wc. 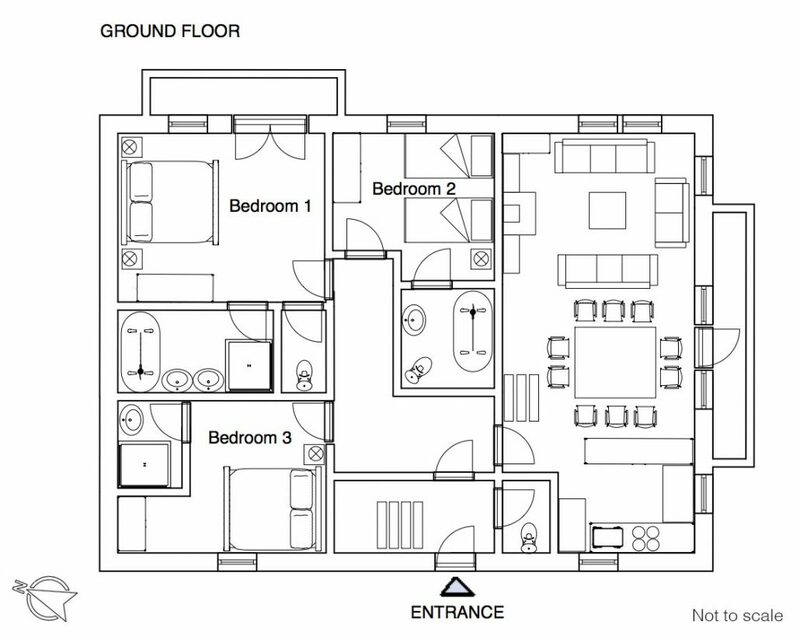 Double (10′ x 9’6″) on ground floor, with en-suite shower and basin. Twin (10′ x 9’6″) on the first floor. Sweet room tucked under the eaves. Twin (9′ x 9’6″) next door to and rather like Bedroom 4. It is larger than the measurements given, but part is not very accessible owing to the low beams. (22’6″ x 13’6″) Long and high, with sofas around the fireplace. The kitchen (not included in measurements) is off the dining area. Mezzanine (13′ x 13′). WiFi. 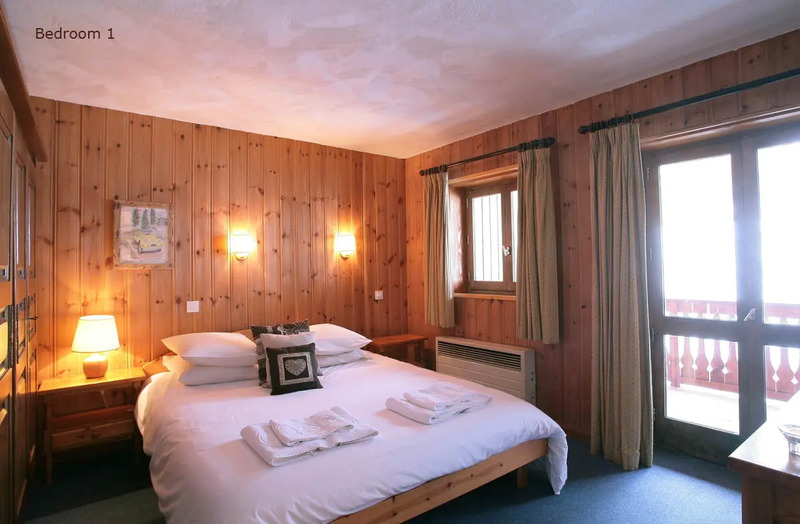 Les Gnellets was built a quarter of a century ago in the time-honoured local way, all wood and stone, with some of the rooms tucked under the massive roof timbers. 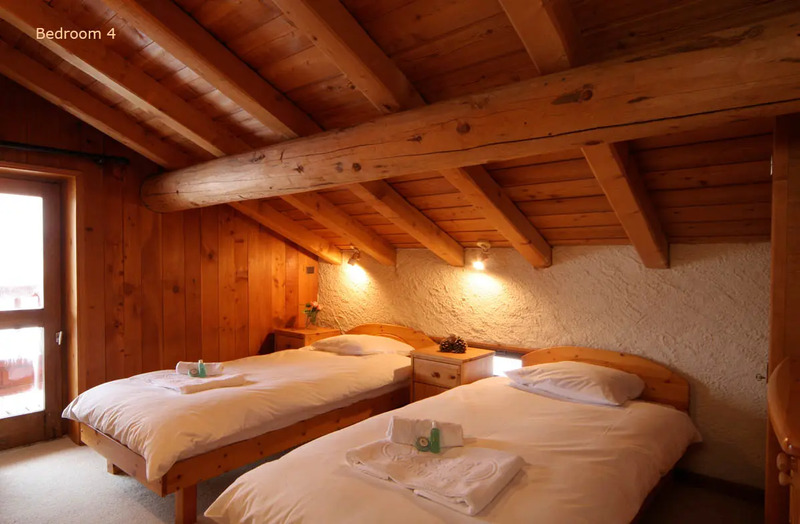 It is a traditional, pretty and welcoming chalet. 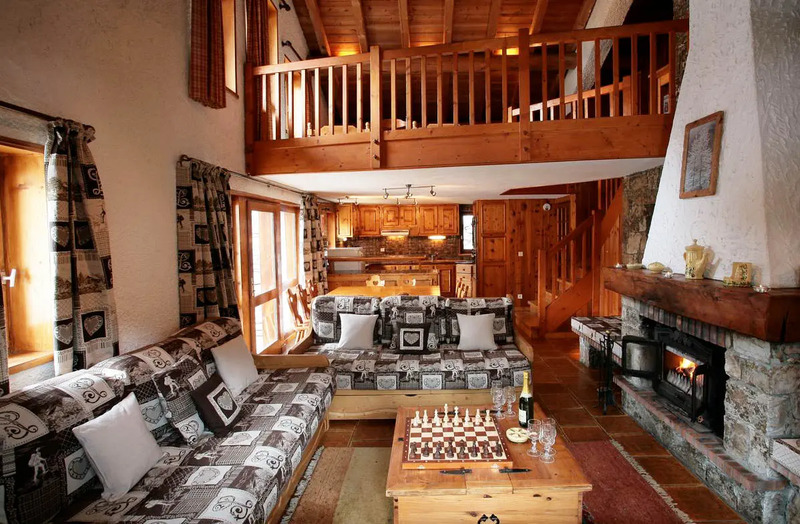 It might lack the bling of our more modern accommodation, but as our nineteenth most expensive chalet out of twenty, it is fantastic value. The room the time-honoured locals obviously planned to spend most of their time in is the spacious, high-ceilinged, open-plan dining-sitting-room-kitchen, with its log fire surrounded by sofas, its terrace and mezzanine. Not to say that the bedrooms aren’t comfortable. There’s a super master bedroom with a balcony overlooking the Calabourdane stream, and both a bath and a very indulgent rain-head shower. 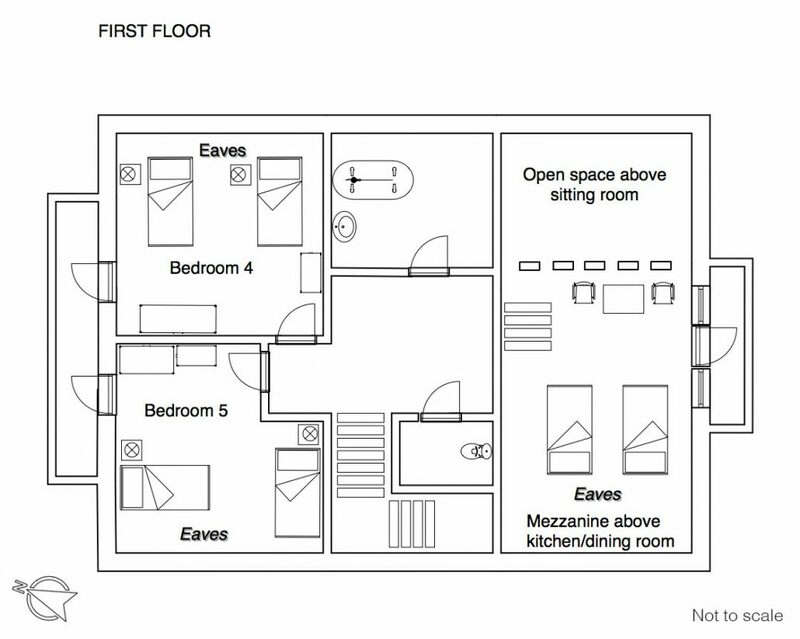 Two other bedrooms have en-suite facilities, while the last two share a bathroom and separate loo. These two rooms are tucked under the rafters, up a staircase with not one but two low beams to test sobriety. 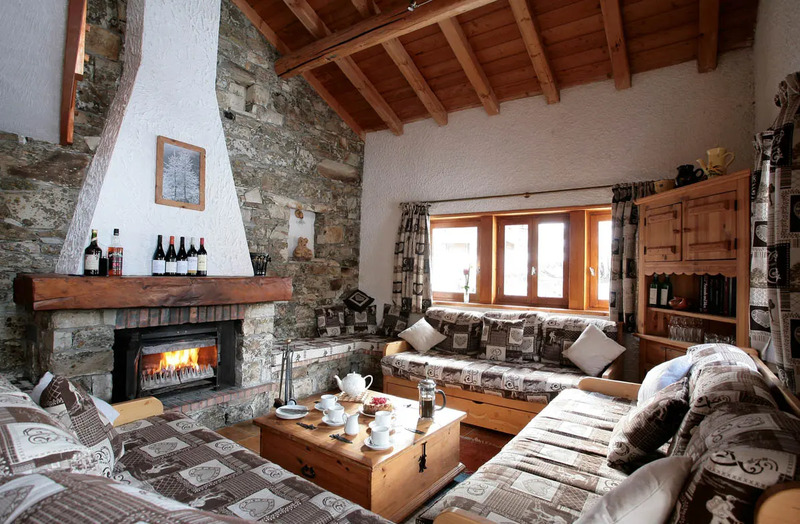 For whatever reason, Les Gnellets has always generated a particularly laid-back and contented atmosphere, possibly because it feels good, with all the larch and granite, perhaps because it is so convenient for skiing, with the Solaise and Bellevarde lifts and pistes not three minutes away. At night the loudest sound from without is the babble of the stream or the occasional lowing of Val d’Isère’s milk supply in the nearby farm. From within, there is occasionally a lot more noise, but Les Gnellets is one of our few chalets with no near neighbours to worry about.